The Supreme Court ruled on the Roe v Wade case in 1973 and it has been continually challenged, and ruled legal, ever since. Recently, we discussed the U.S. Supreme Court’s ruling regarding contraception and the Affordable Care Act. 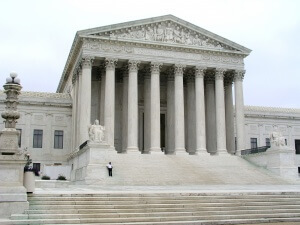 Although the court ultimately left that decision to the lower courts, on Monday, June 27, 2016, the court made a bold statement regarding abortion and reproductive rights when it handed down a 5-to-3 decision reaffirming the prior landmark cases of Roe v. Wade and Planned Parenthood v. Casey. The Court decided in Roe v. Wade, that a Texas law placed an undue hardship on a woman’s ability to have an abortion and therefore the law was unconstitutional. Relying heavily on the Constitution’s Fourteenth Amendment, Justice Harry Blackburn argued that an abortion lies within a woman’s “zone of privacy” and is thus free from regulation unless a law is determined to be “sufficiently important.” The court found that although many religious views place great emphasis on the importance of prenatal life, no consensus exists among all groups and therefore the argument for prenatal life was not sufficiently important. The court did indicate, however, that where a law was more narrowly drafted, the definition of “viability” could be a fulcrum upon which regulation hinged. Former Texas governor Rick Perry signed H.B. 2 into law in July of 2013. You probably remember Wendy Davis, the Democratic state senator from Texas, and her eleven-hour filibuster against the law. This week, the U.S. Supreme Court struck down numerous provisions of H.B. 2 in Whole Woman’s Health v. Hellerstedt again citing undue hardship as the reason for its opinion. Abortion clinics had to meet the same standards as surgical healthcare facilities. State reaction to the court’s recent decision regarding abortion has been varied. In a presidential election year, you can be almost certain that the issue of abortion will be as polarizing as ever. Several states have laws similar to those struck down in H.B. 2, and despite this arguably monumental decision, the conversation is far from over. You can trust that The Universal Life Church will stay abreast of the continued developments affecting women in every state.